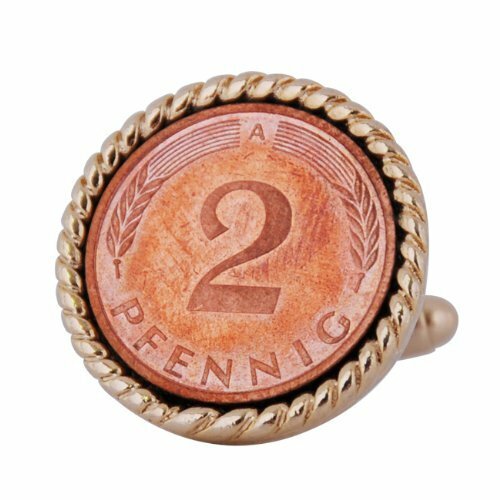 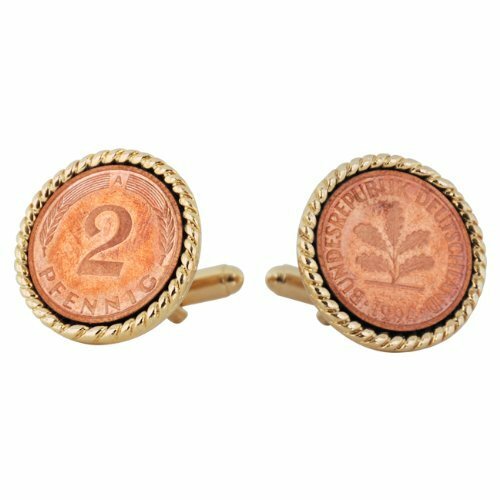 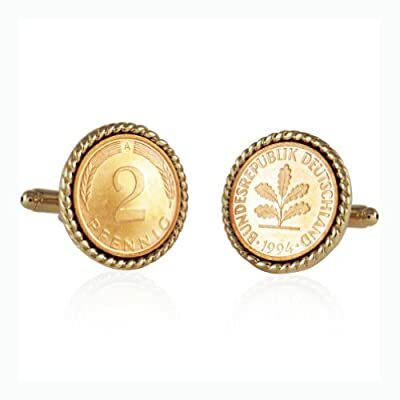 Here's a handsome set of cufflinks celebrating the 2 Pfennig coin from Germany. 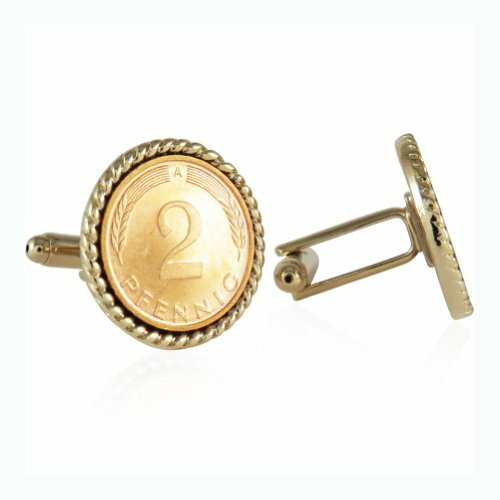 Top quality coins are mounted in a 14kt gold plate setting. 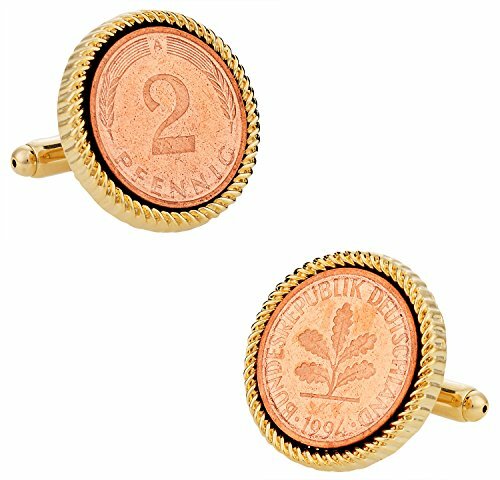 One cufflinks shows "heads" while the other shows "tails". 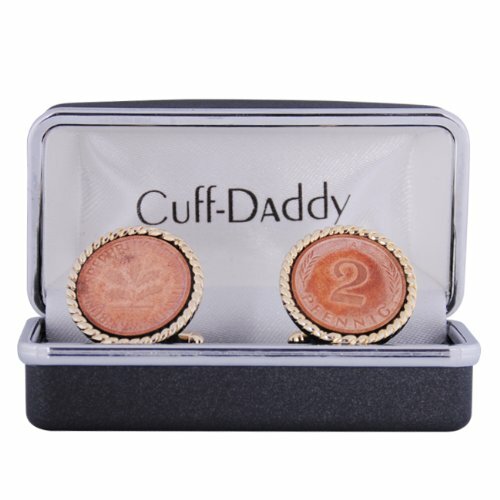 Ships in handsome gift box.